The University of Texas MD Anderson Cancer Center has maked scientist and oncologist, Ethan Dmitrovsky, M.D., its next provost and executive vice president. Dmitrovsky will also become leader of MD Anderson’s research and educational programs this July 15, and will be at the helm of the Moon Shots Program, which speeds up the conversion of scientific discoveries into clinical advances. 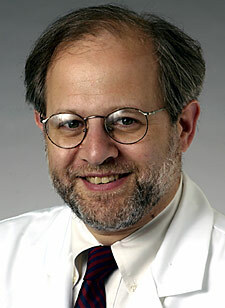 “Ethan Dmitrovsky is an outstanding leader as well as a highly accomplished scientist and lung cancer clinician who knows what it takes to successfully connect those two roles as a physician-scientist to improve our understanding and treatment of cancer,” MD Anderson President Ronald DePinho, M.D., said in announcing the appointment Thursday. Dr. Dmitrovsky is also currently a professor and chair of the Department of Pharmacology and Toxicology at the Geisel School of Medicine at Dartmouth, and a senior advisor for science and technology to the president of Dartmouth. He holds a clinical research professorship at the American Cancer Society, and chairs the National Cancer Institute’s Board of Scientific Counselors. He is known for his key research on promyelocytic leukemia and the mechanisms behind the tumor-suppressing effects of natural and synthetic derivatives of vitamin A, or retinoids. He co-developed and patented a genetic test often used to diagnose promyelocytic leukemia and monitor treatment.